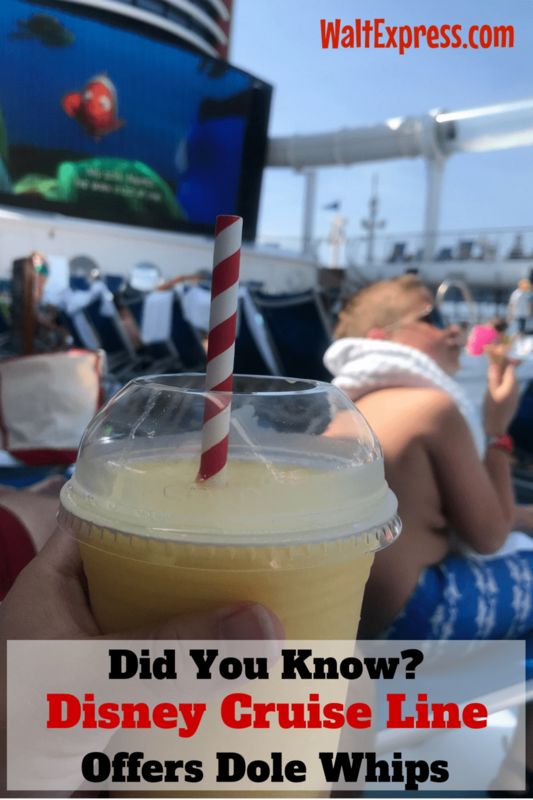 Do you find yourself craving a Dole Whip?Did You Know: Disney Cruise Line Offers Dole Whips too! Read more to find out how you can grab a Dole Whip on your next Disney Cruise. Have you ever been in Adventureland at Aloha Isle waiting in line for a Dole Whip and thought, “man, I wish this line was shorter!” Or do you long for a Dole Whip near the beach? Well, Walt Express has great news for you! Dole Whips are now available for an additional charge on all four Disney Cruise Line ships. Now you can have your Dole Whip and relax on the great big blue! Where Can I Find the Dole Whip? 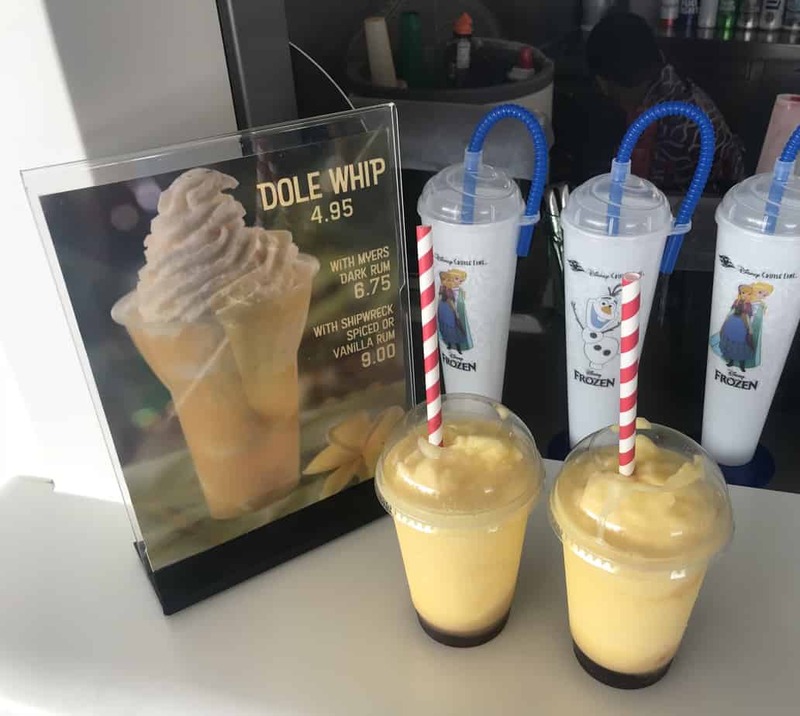 Dole Whips are available on deck 11 on the Dream and Fantasy and Deck 9 on the Magic and the Wonder. On the Dream, Fantasy, and Magic, you will find them at the small bar area near Eye Scream and Frozone Treats. On the Wonder, look for Sulley’s Sips. 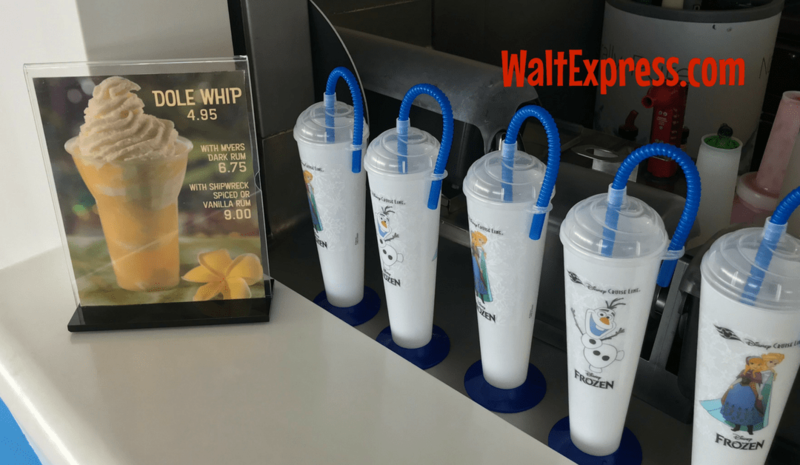 Are Dole Whips Included In The Cost Of My Cruise? No, the Dole Whip is an upcharge item, which means it is at an additional cost. At the time this post (Summer 2018) the cost for a regular Dole Whip is $4.95. If you would like to add Myers Dark Rum, the cost is $6.75. If you prefer a lighter taste, but still want the adult version, purchase the Shipwrecked Spiced Vanilla Rum for $9.00. The Dole Whip is a bit thinner on DCL. I recommend adding a bit of vanilla soft serve from Eye Scream to your cup if you prefer a consistency more like the one at the parks. 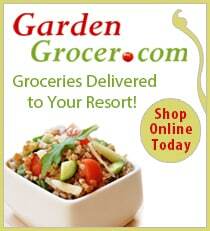 Take a Tervis or other insulated mug for cold drinks on the pool deck. It gets very hot and you don’t want your Dole Whip or other frozen beverage melting before you get a chance to enjoy it. Here is our favorite! If you opt for the adult version of the Dole Whip, make sure to give it a good stir before sipping. Otherwise, you are going to get straight rum… On second thought, if you dream of being a pirate, don’t mix it and warn the kids if they don’t behave you will make them walk the plank. If you aren’t cruising anytime soon with DCL and need a Dole Whip fix, check out our copycat recipe blog HERE. 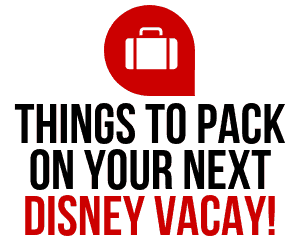 It will get you through until your next Disney destination vacation. There is even a clean/healthy version in that link if you are trying to find a recipe with less sugar. 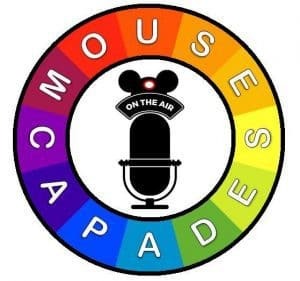 While you are here, check out these other blogs about Disney Cruise Line and Dole Whips. Have you enjoyed a Dole Whip on Disney Cruise Line yet? If so, we would love to hear what you thought about it. 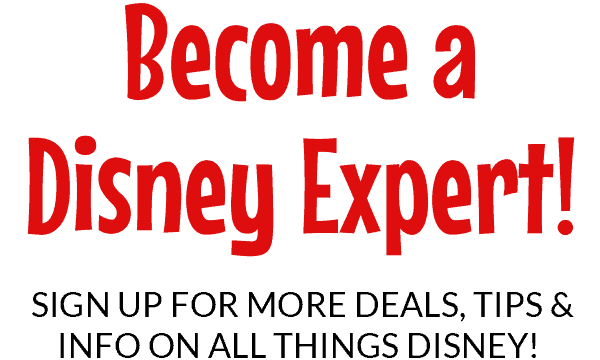 Leave a comment below or you can join the Disney Express Lane Facebook Group to share your favorite Dole Whip memories, recipes, and photos as well as any other Disney related topics on your mind.